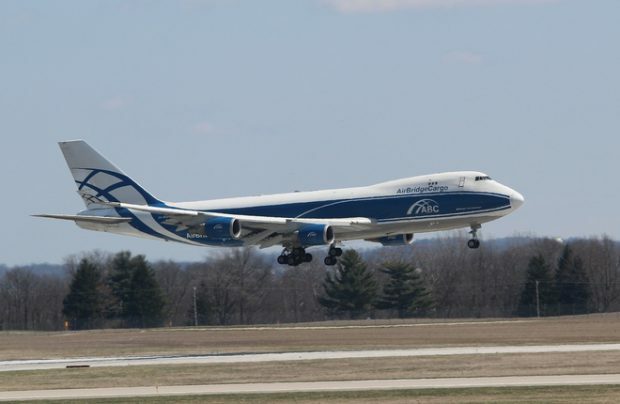 One year after entering the Columbus, Ohio, USA market, AirBridgeCargo Airlines (ABC) has decided to expand its scheduled freighter operations at Rickenbacker International Airport (LCK) to a twice-weekly frequency, doubling its airfreight opportunities for customers in the region. The Russian cargo carrier introduced Columbus into its global network in April 2018 and thus far it has enjoyed stable demand to/from Rickenbacker, accommodating growing trade flows on board the main-deck capacity of its fleet of Boeing 747 freighters. “In 2018, our volumes tipped over 5,000 tonnes to/from LCK and we feel confident that our performance and customer feedback means our second weekly flight will also be well supported,” says Sergey Lazarev, general director of ABC. Located at Columbus, Ohio, Rickenbacker International Airport is one of the world’s handful of cargo-dedicated airports. It specialises in expedited services that move cargo between aircraft and trucks faster and more consistently than at other gateway airports, claims the airport. Apart from ABC, other carriers such as, Cargolux, Cathay Pacific, China Airlines Cargo, Emirates SkyCargo and Etihad Cargo,With provide regularly scheduled import and export services from the airport. FedEx and UPS are also on site to provide domestic cargo services, which is critical to the growth of e-commerce activity.